Why ? 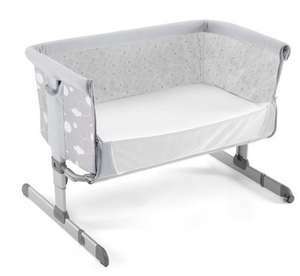 Same design / concept ( but not Chicco branded ) crib is available for £79.99 . By that logic, all Apple, Samsung, clothes brand or any branded deals are cold as other lesser known brands offer what seems like the same or better spec. This is a deal because it's possibly the cheapest deal for this exact same item. That's the point of HUKD, finding the best deal for a specific item. This is the cheapest I ever seen this crib for. I bought it for full price and it's amazing!